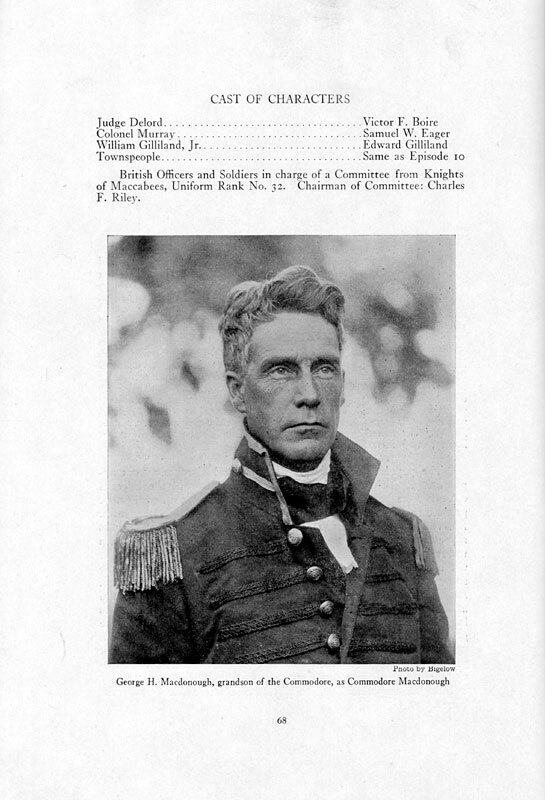 No history of the Champlain Valley of New York would merit serious consideration without a discussion of William Gilliland, the explorer, soldier, and entrepreneur who founded Willsboro, Westport and Elizabethtown in Essex County, New York. 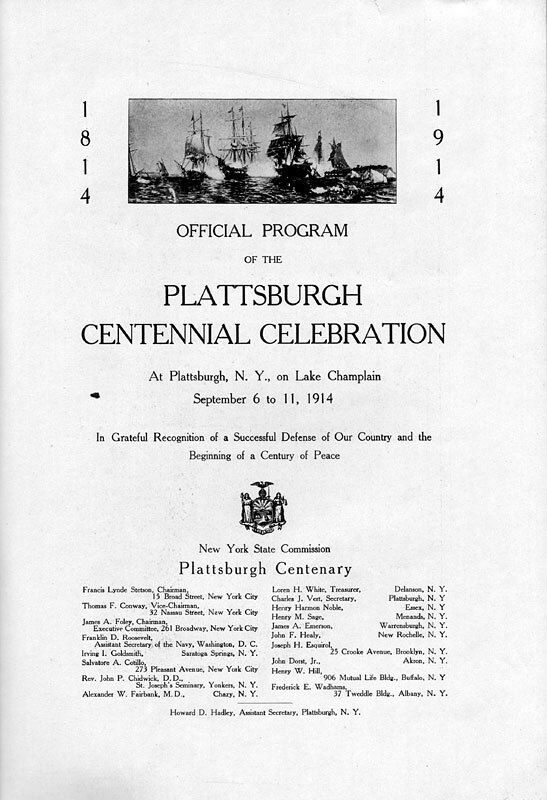 It should then come as no surprise that Gilliland was also instrumental in the founding of Plattsburg, and hence the many references to the family's history in Plattsburgh's centennial program. 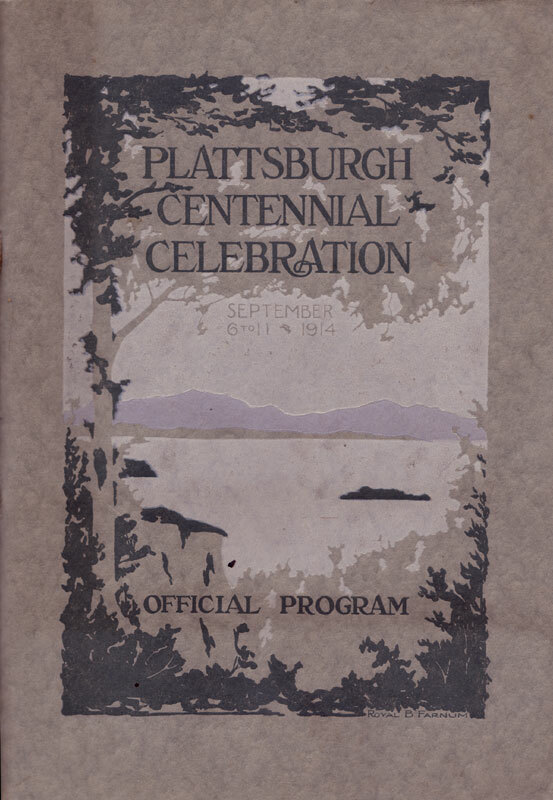 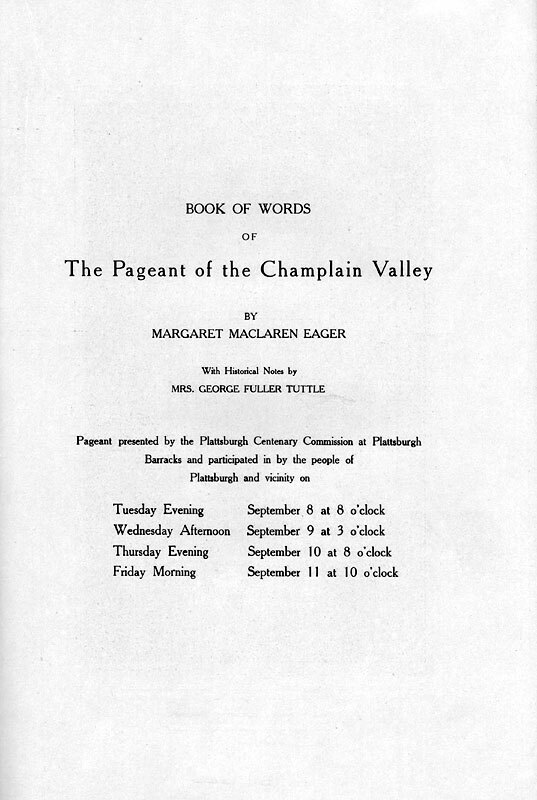 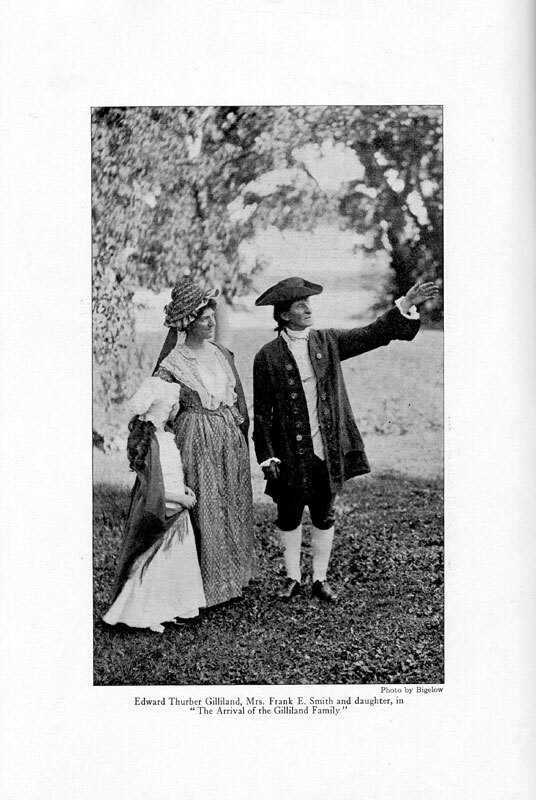 For its centennial celebration the town of Plattsburgh held an elaborate pageant that took place over the course of September 6-11th, 1914, which consisted of a series of historical sketches replete with historical costumes, music, and theatre. 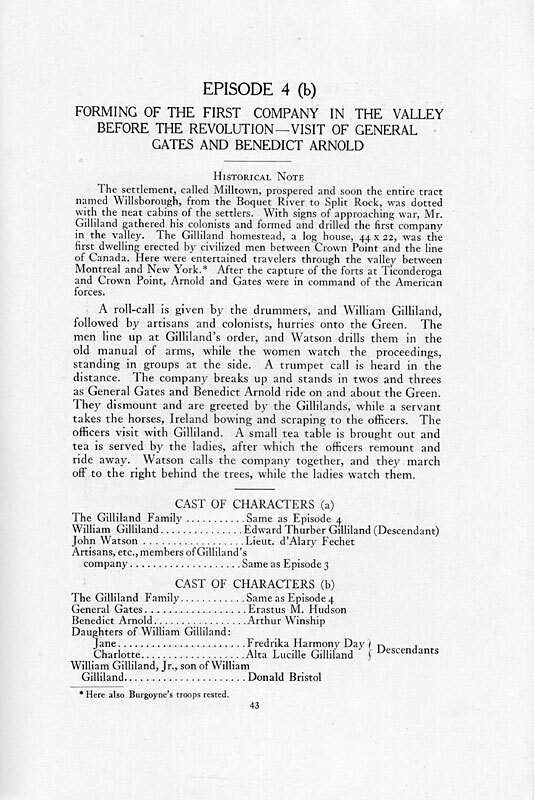 Descendants of the original settlers were called upon to play their part and the descendants of Willilam Gilliland were well represented, both on the stage and in the various planning committees. 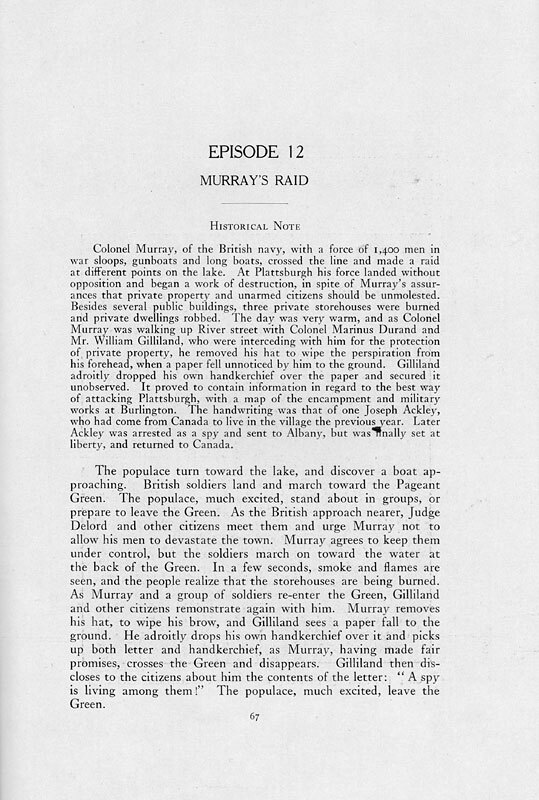 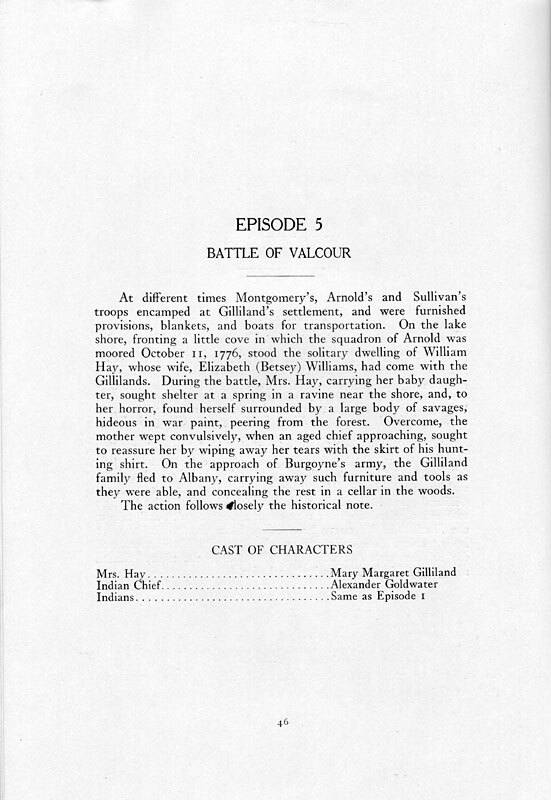 The program is some 80 pages long and there are references to the Gillilands throughout. 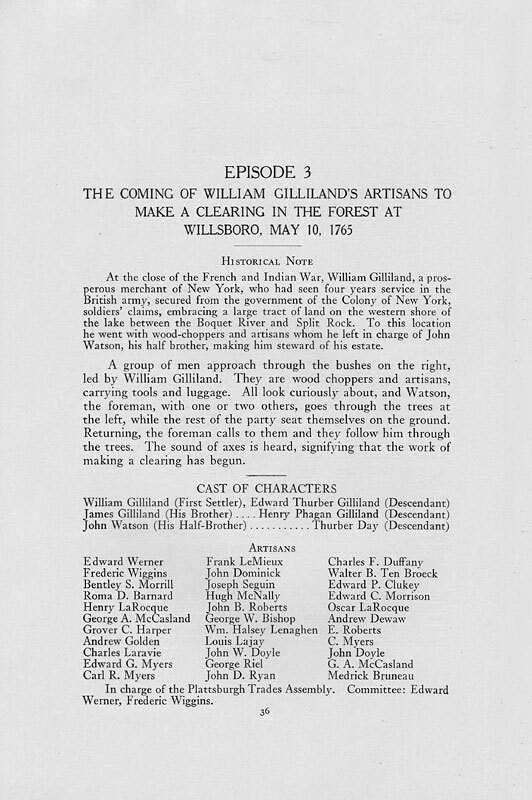 It would really have been impractical for me to have scanned every page in which a Gilliland was mentioned so I've selected the ones which I felt give you the best sense of their presence in this celebration. I have seen this program come up for auction on ebay, but very rarely. 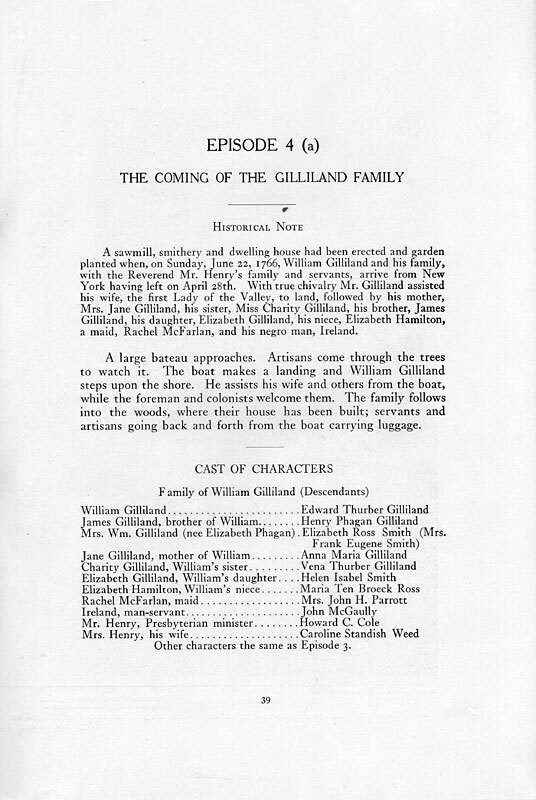 The scans here are from my personal copy of the program. 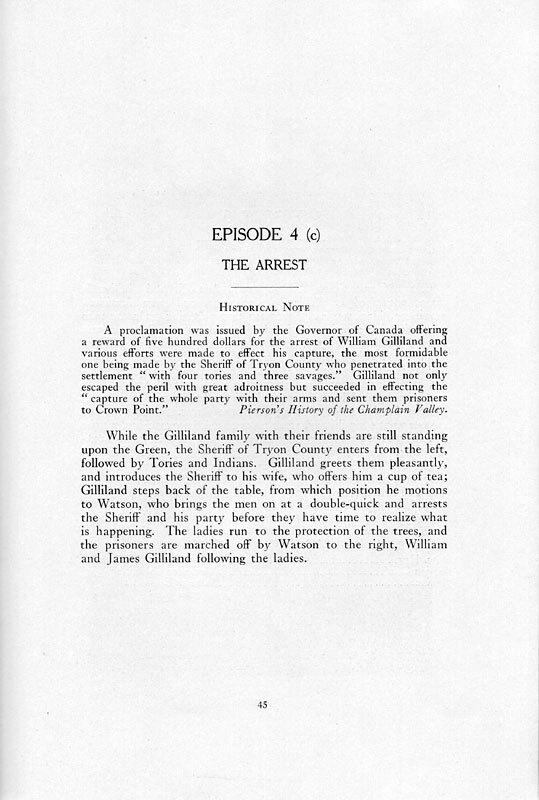 I would be willing to loan out this program to anyone doing research on this family as long as it is cared for and returned in good condition.